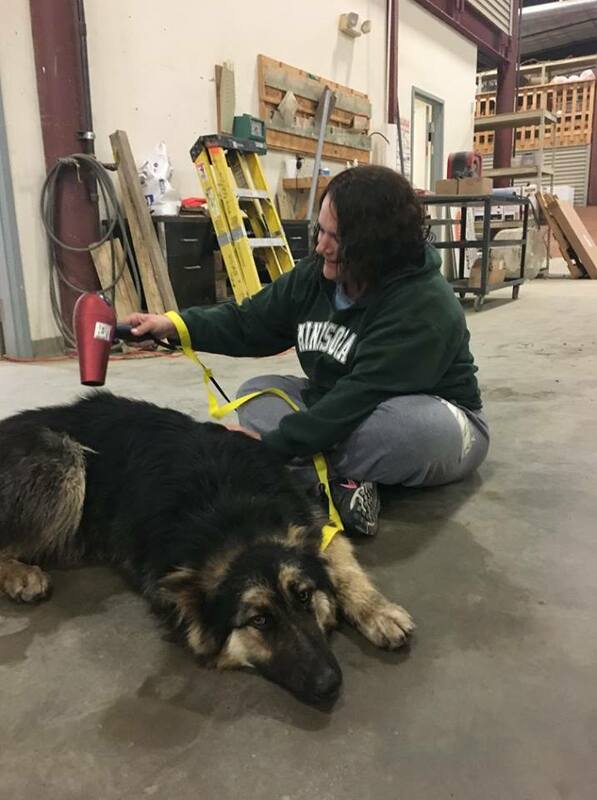 Red Lake Rosie’s Rescue will be participating in several fundraisers this year with all proceeds benefiting the shelter. Our first event is quickly approaching on May 12. 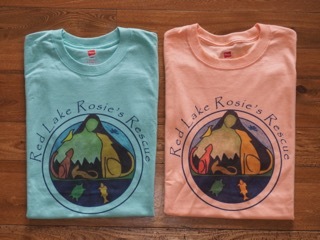 We need a lot of nice quality handmade items to draw people to our booth to promote Red Lake Rosie’s Rescue, to get more volunteers, and to raise much needed funds. Items can be for dogs, cats, or for people. Please contact Lynn mecum @ Lmecum4@msn.com if you can share your talents or if you have any questions. Lilia makes RLRR her community project! Red Lake Rosie's Rescue has been so blessed by kindness from young people over the years. Lilia is our latest helper. Lilia is an eighth-grader at St. Louis Park Middle School and she chose RLRR as her final community project. She first learned about RLRR from her neighbors Mary & Matt and wanted to help. She gathered information about RLRR and sent an email to friends and family requesting donations. 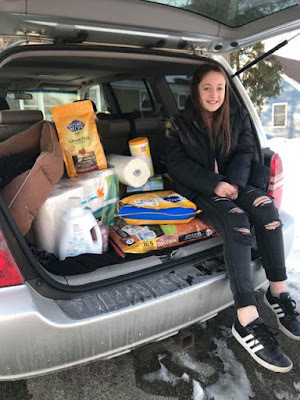 She has not only collected donations, but she has spread the word about RLRR. 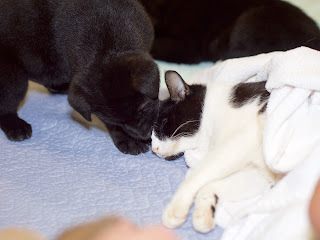 Lilia's neighbors have recently started M&M Partners in Rescue to help RLRR and other animal rescue organizations. They are planning monthly trips to help Karen at the shelter and Lilia wants to continue to get donations to send up with them. Lilia and her mother Lynn want to come up to help at a clinic at Red Lake, too. Happy Holidays from Red Lake Rosie's Rescue! 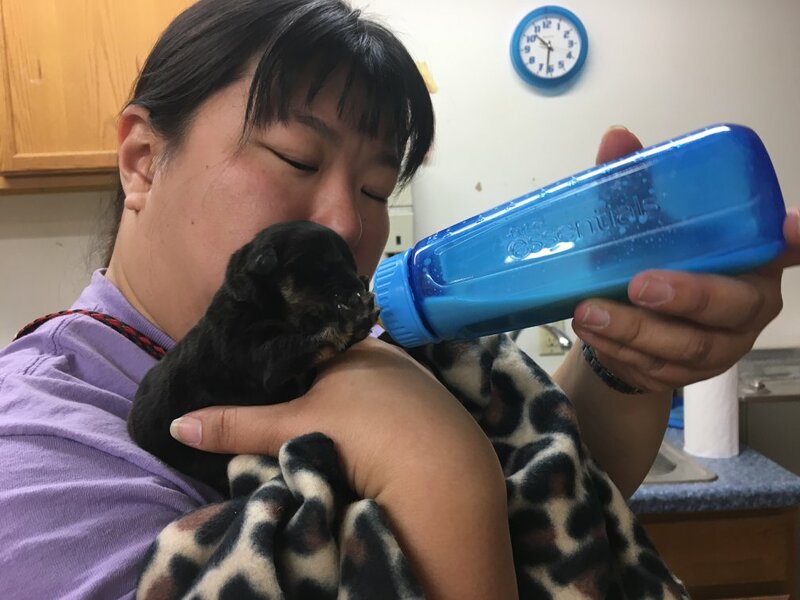 This is our major fundraiser each year and we rely on your donations now to help the animals through all of 2018. Thank You!! and consider a gift from our Wishlist on Amazon.com. If you did not receive our Holiday mailing from Red Lake Rosie's Rescue, please send me your address and I will add you to our list. Also, send your e-mail address to receive e-newsletters. This is an open meeting for volunteers, donors, adopters of RLRR pets, anyone interested in learning more about RLRR! Some of the topics we will be discussing: clinics we had this year and those planned for next year; updates from the board of directors and the needs at the shelter; new volunteer online site and volunteer needs; end of the year fundraisers, Give to the Max and our annual Holiday fund drive; and a new RLRR foster program! Contact me for more information: call or text 612-269-2254 or email d4luke@gmail.com. 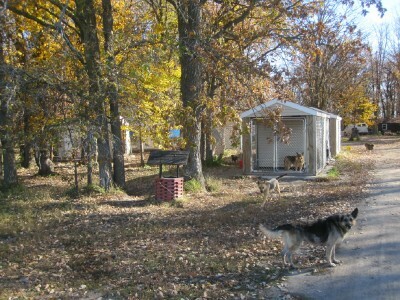 With winter just around the corner, weatherizing the dog kennels is at the top of the "to do" list at the RLRR shelter. 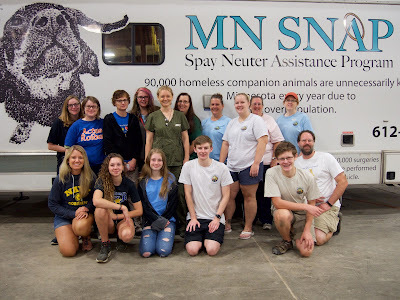 Red Lake dogs and puppies live in outdoor kennels during the brutal cold winters of northern Minnesota, so volunteers must tarp or put plastic on the kennels to keep out the snow and ice. The supplies needed to accomplish this include sixty 5x7-foot tarps and many 8-inch and 12-inch white/clear cable ties. We can also use RUBBER pails for water in the winter that won't freeze and break; we use these at the shelter and donate them to residents with dogs living outdoors. 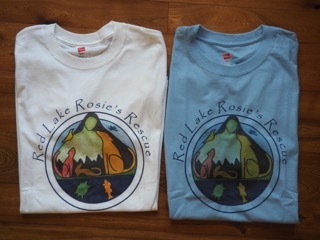 The tarps are at the top of our Red Lake Rosie's wishlist on Amazon.com. Also, consider adding Red Lake Rosie's Rescue as the charitable beneficiary of your https://smile.amazon.com account purchases. Thank you for any help you can give to help support the Red Lake dogs and puppies this winter. 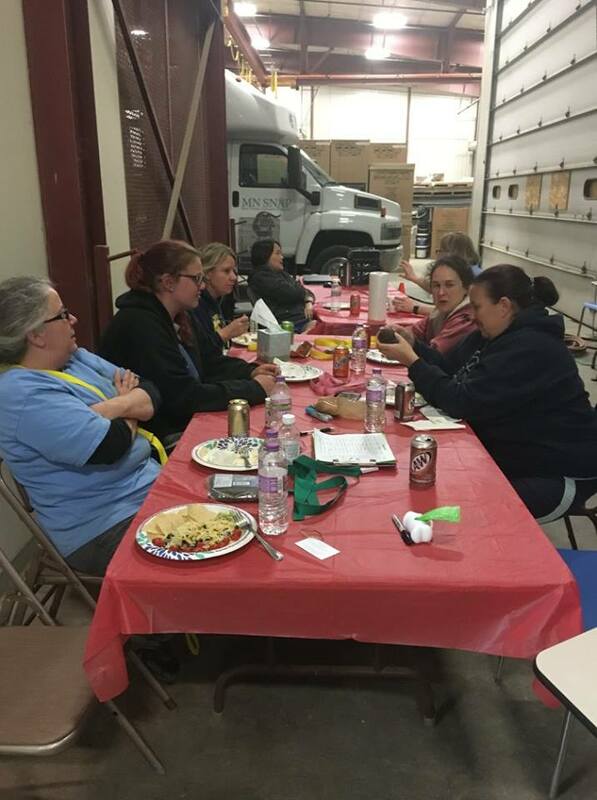 The August Clinic had an unexpected theme to it -- Vehicle Repairs. 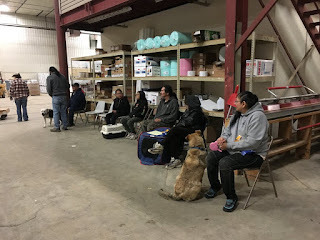 We had hundreds of pounds of food, clinic supplies, and 17 volunteers that needed transportation from the Minneapolis/St.Paul area to Redby for the clinic. Days before the clinic, 6 vehicles needed repairs just to make the 5-hour journey. Thankfully, 4 of them were repaired in time and everything, and everyone, arrived safely. Just when we thought vehicle problems were behind us, the MNSNAP truck blew a warehouse fuse. The surgery vehicle is a lot like an RV, and needs electricity to operate. It continued to have problems so they moved the truck outdoors so they could run the generator. Then the generator didn't work. We were very fortunate to have Aaron Sawdey volunteering at the clinic. 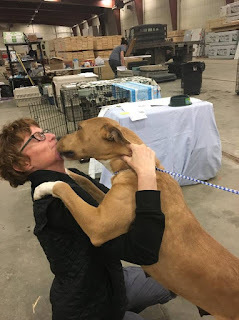 Aaron is a longtime volunteer with Red Lake Rosie's Rescue and Leech Lake Legacy, a foster with Pet Haven MN, and an excellent amateur photographer. We were surprised, and grateful, to learn that Aaron is also an electrical engineer. He determined problems and created solutions that literally kept our clinic running. Without his expertise we would not have been able to accomplish all that we did. THANK YOU, Aaron! Despite the delays, our clinic was a success. MNSNAP completed 85 spay/neuter surgeries. 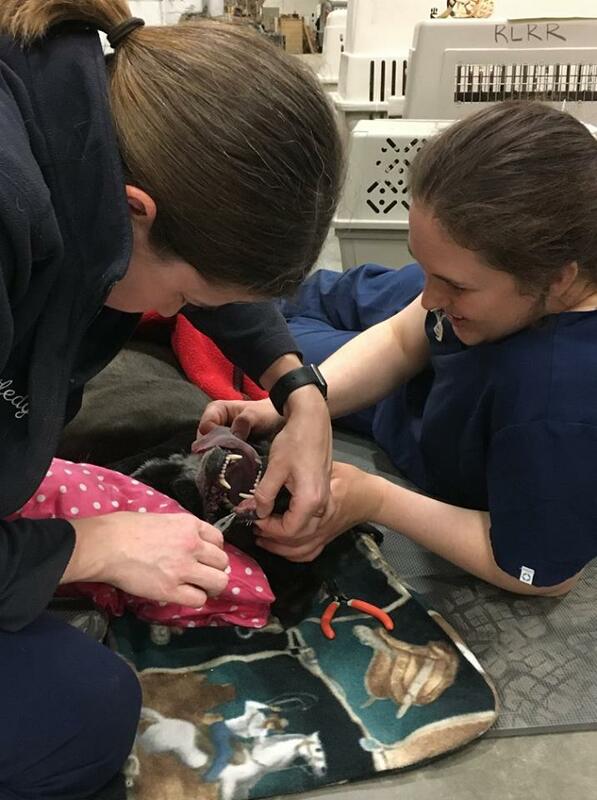 Dr. Patti Novak volunteered her time as our clinic vet, vaccinating 86 dogs and cats, and treating 19 animals for medical concerns, including a rat. 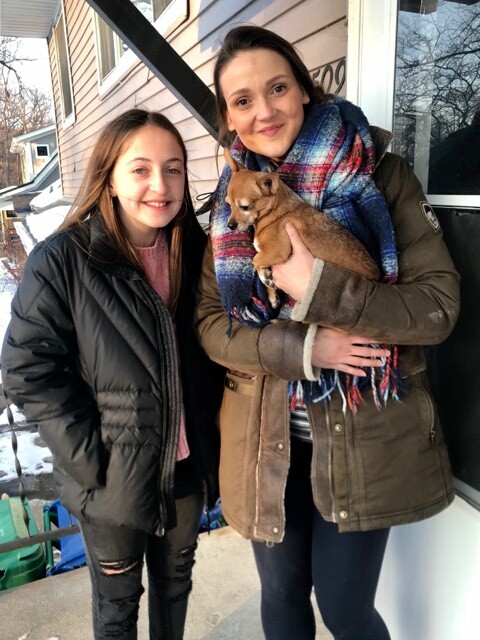 We accepted 20 surrendered dogs and cats. Typical of a summer clinic, there were several parent-child volunteers. The professional groomer Sam, is only 21, and was joined by her mother. 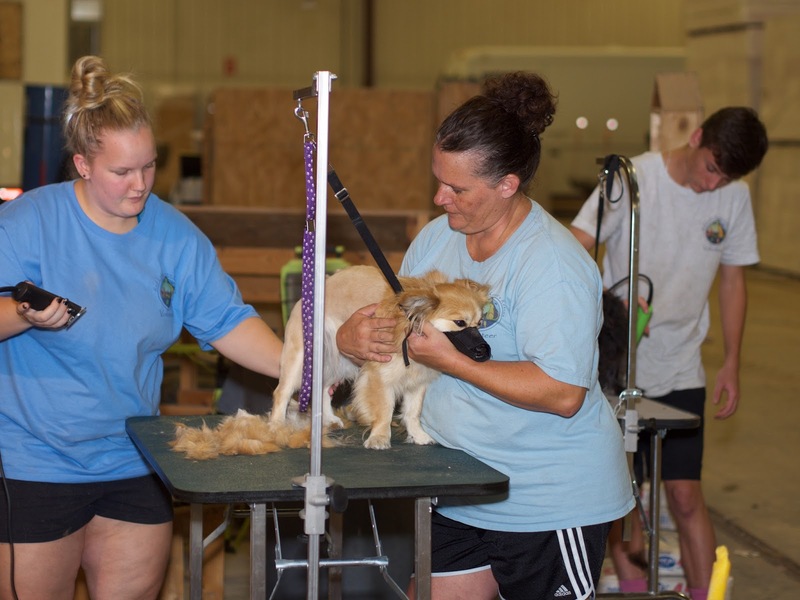 Kipling, 15, and Colin, 16, became her apprentices for 2 days and together they groomed a record high of 26 dogs! There were several extreme make overs, and one dog even got a mohawk. 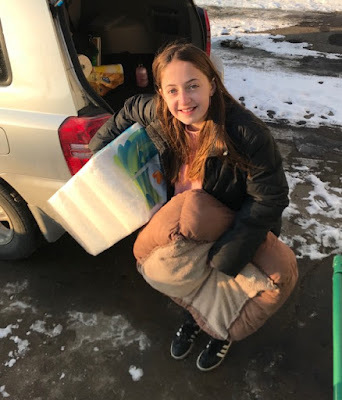 We are so grateful for all the people that volunteered their time and talents with us- Aaron, Jen, Jess, Blaine, Claudia, Barb and her sons John and Ethan, Kim and her daughter Aurelia, Dr. Patti and daughter Kipling, Heather and daughter Emma, Beth and daughter Sam, and local teens Destiny, Latrell, Jenna, and Dezi. We can't forget Diane, with 4 Perfect Pets in Oakdale, MN, for the animal food donations. 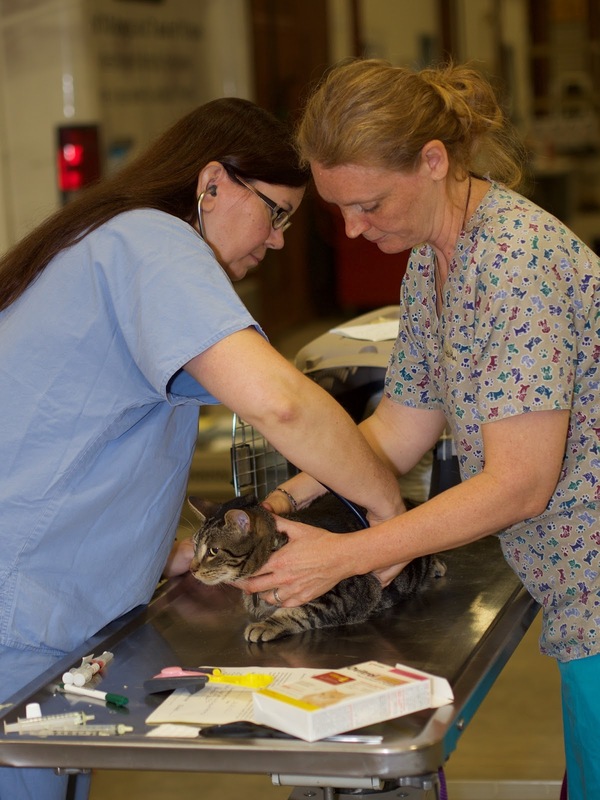 A huge, heartfelt thank you to Second Chance Animal Rescue for sponsoring the clinic!